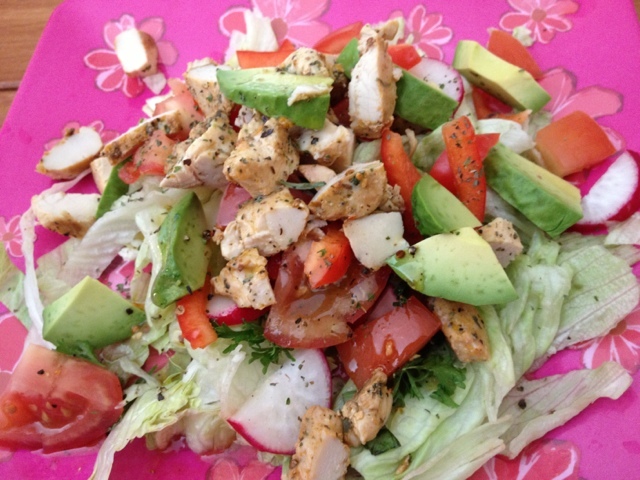 This is an example of a healthy salad which incorporates protein (chicken), good fats (avocado) and lots of vegetables to make for a great balance and a great lunch! I am not a fan of store-bought salad dressing of any kind therefore you will come to notice that I use olive oil, lemon and season with lots of fresh spices from my garden. 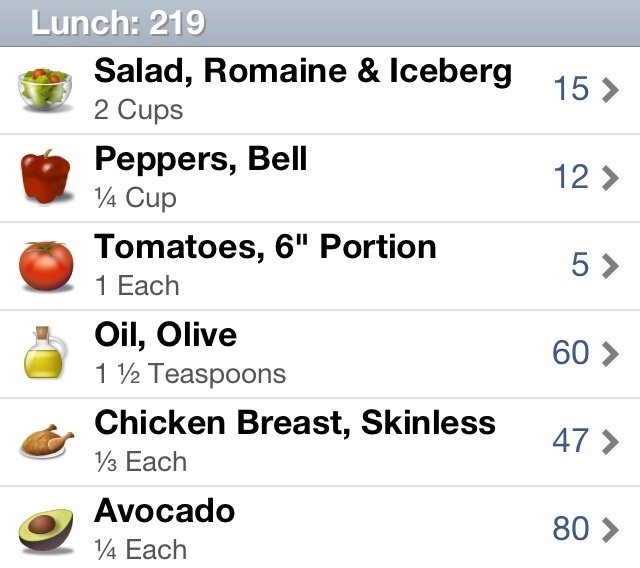 I didn't include lemon or spices because they have no calories but they are great ingredients to make your own dressing! 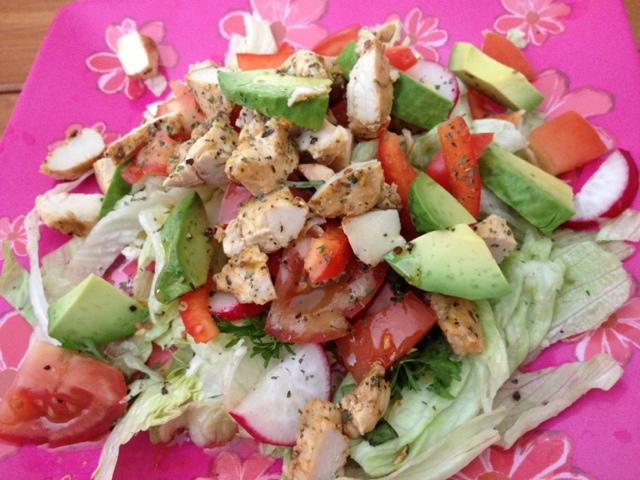 I highly recommend making yourself a big, summer salad like this one sometime this week. 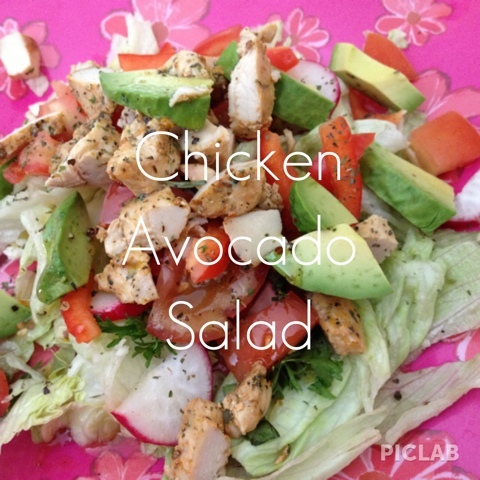 Low in calorie yet it fills you up for the afternoon because of the chicken and avocado. 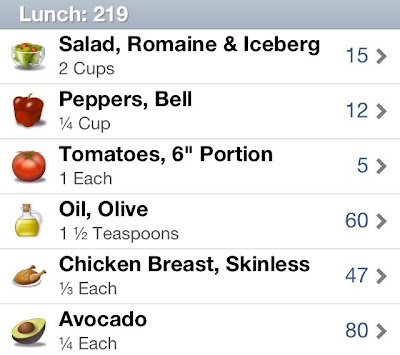 A vegetarian alternative would be to incorporate chopped almonds, kidney beans or chickpeas instead of chicken!